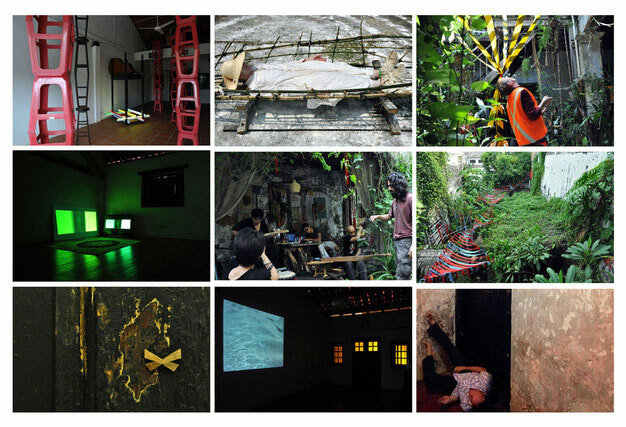 In 2010 Anthony Pelchen and Mike Hornblow formed and curated a new visual arts program for the Melaka Art & Performance Festival (MAP Fest)*. New venue relationships were negotiated with the National University of Singapore's Tun Tan Cheng Lock Centre for Asian Architecture and Urban Heritage, as well as Badan Warison (Heritage Trust) Malaysia's No.8 Heeren Street Heritage Centre and several private commercial spaces. Anthony Pelchen grew the program in 2011 and 2012, presenting the work of twenty-two artists from Australia, Singapore, Malaysia, the Netherlands and Afganistan. Some of the artists included were Jill Orr, Domenico de Clario, Khaled Sabsabi, Trevor Flinn, Mike Hornblow, Tm Silver, Noelene Lucas, Hayati Mokhtar, Liew Kwie Fei, Azliza Ayob, Minsrel Kuik, Soong Ro Ger, Cheo Chai-Hiang & Cecily C Cheo.